On Sunday, March 8, 2015, the Maple Youth Ballet will present our fourth annual Spring Gala. 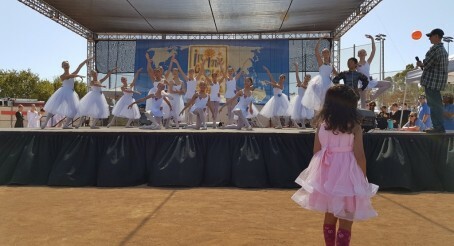 Hosted at the Wyndham Avenue of the Arts Hotel in Irvine, the Gala will feature a selection of heavy hors d’oeuvres, silent auction and raffle drawing, and a special performance by the Maple Youth Ballet dancers. We are thrilled to announce this year’s special honored guest, Ms. Misty Copeland, soloist with American Ballet Theatre. Guests will have the opportunity to meet this incredibly talented artist, and enjoy an interview conducted by her former ballet instructor, Mr. Charles Maple. We invite community members to donate an item or experience to the Silent Auction or Raffle. Every dollar raised will help Maple Youth Ballet further its mission, and to provide scholarships to talented students who could not otherwise afford this opportunity. We anticipate over 200 guests will attend the Gala, and all donors will be recognized and celebrated. We appreciate your support and hope you will join us in helping keep the arts alive for our children and within our community. Gala Ticket Price: $75 per guest, payable by cash or check*. We also accept credit card payments via Eventbrite. Tickets may also be purchased directly at the studio or by mail. *Paying by check or cash will avoid additional fees.